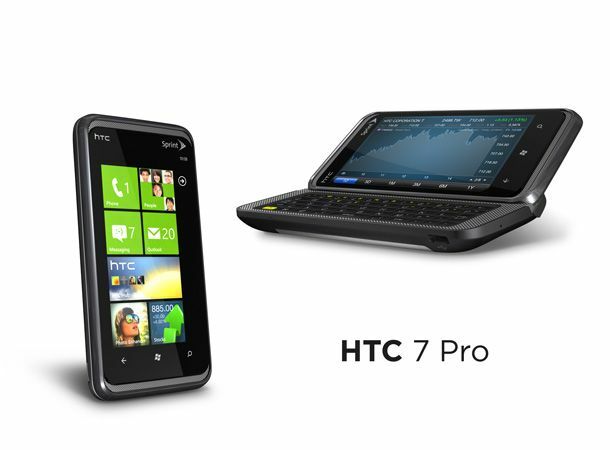 The HTC 7 Pro, a Windows Phone 7 handset, has been announced with a Vodafone contract pricing on Expansys. SIM-free, the HTC 7 Pro costs £459.99. With a Vodafone contract, you could have the handset for free for a 24 month period, which includes 500MB per month, 300 minutes and unlimited texts for £30.65. The HTC 7 Pro is powered by Windows Phone 7, has a 3.6-inch screen and QWERTY slider keyboard. It also has a 1Ghz Snapdragon processor, a 5MP camera, 720p HD video recording and will feature Xbox Live, Zune music player, Microsoft Office and other Windows Phone 7 essentials. Expansys says the HTC 7 Pro is due 11 February 2011. Tweet to us or post on our wall via our Twitter and Facebook telling us if you'd consider buying the HTC 7 Pro on contract or SIM- free. Follow us for more HTC updates.